SeniorsAloud: WHO WILL CARE FOR ME WHEN I CAN NO LONGER CARE FOR MYSELF? WHO WILL CARE FOR ME WHEN I CAN NO LONGER CARE FOR MYSELF? This picture taken from The Daily Mail shows the world's largest family. 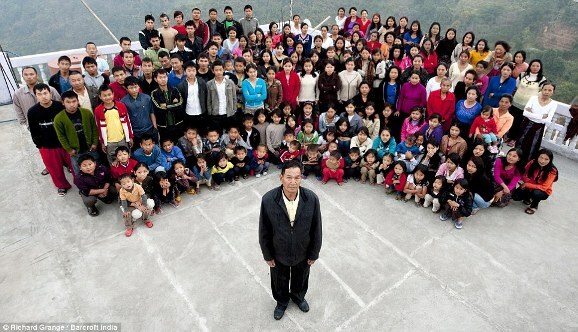 Mr Ziona Chana has 39 wives, 94 children and 33 grandchildren. Large families with far fewer members than Mr Ziona's are a rarity today. Once upon a time families were large and everyone lived together under the same roof. Today family size has shrunk drastically from an average of ten in the 1950s to four today - father, mother and two children. One of my primary school classmates had a dozen siblings, and it was considered the norm. Lack of privacy and space was a major issue but on the bright side, children from large families learned the importance of sharing and supporting each other in times of need. 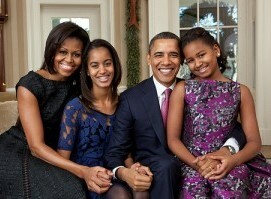 Families were closely-knit, and this bond extended to relatives as well. Cousins knew one another by name no matter how many times removed. Family gatherings were boisterous occasions, as the extended family members got together to share updates or reminisce on the good old days. It is a different scenario today. The modern day family home is a shadow of the ancestral home most of us grew up in. It is devoid of family activities much of the day. Dinner time is the only time the family gets to see each other. Even then there is no guarantee the head of the household will be at the table. More often than not, he is delayed at work or has a business function to attend. Young couples today are eager to move into their own homes as soon as they are able to afford the rent or down payment. On the other hand, baby boomer parents are equally happy to remain in the family home, rather than live with their married children. They are not about to give up their independence and privacy which is what will happen if they move in with their married children. Young people are delaying marriage, preferring to put career first. Those who do get married delay starting a family, again for the same reason. Childless couples are also on the rise, and have to resort to fertility treatment or surrogacy to have children. The latest fertility rate (total births per woman) in Malaysia stands at 2.2. There is also a corresponding decline in male sperm count. “Over the last five years, we have seen an increase in male infertility from 15% to 30%,” said Dr Mohamad Farouk Abdullah, head of the obstetrics and gynaecology department of the Tengku Ampuan Rahimah Hospital in Klang in a Star report. Then there are those who never married either by choice or because of circumstances. All these decisions have repercussions that reverberate across demographics. Consider some of the issues that families have to face today that were non-existent a few generations ago. Smaller families means fewer siblings to share the financial and physical responsibility of caring for elderly parents. This can put a strain on couples who are caught in the middle between providing for their children and supporting their aged parents. The fertility rate is declining worldwide, but life expectancy is increasing. Malaysians can expect to live to 76 on average. The result - there are fewer young people to support an ever-growing elderly population. In a dual-income household, the children are cared for most of the time by a maid or a child-minder. This affects child-parent bonding as quality family time is cut to a minimum. One possible long-term effect is children grow distant from their parents. Such parents risk being abandoned by their children in their old age. This has led countries such as Singapore and India to introduce the Maintenance of Parents Act whereby it is mandatory for children to provide financial support for their elderly parents. The latter can file a maintenance order against their children if they fail to provide support. The number of cases brought to the Tribunal for the Maintenance of Parents is on the rise. Blessed are the elderly who have filial daughters to care for them. Click here to read June Wong's article in full. Who looks after elderly parents who live on their own and require assistance with daily activities? Answer: The usual suspects! Daughters are usually the first choice of caregivers. If there are more than one daughter, then the onus falls on the daughter who is single, or is a full-time homemaker. She doesn't have much of an option. It would be futile to protest and be criticized as being 'unfilial'. 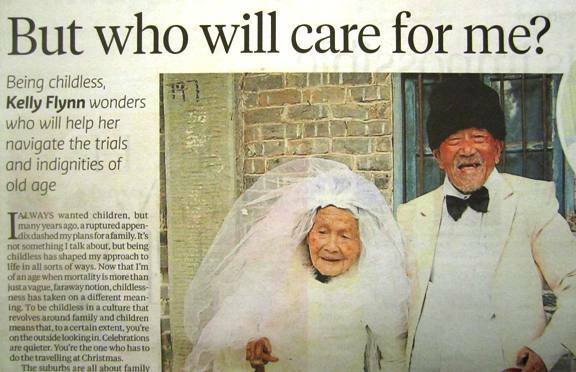 For childless couples and those who choose to remain single, who will care for them in their old age? Children are still considered by many parents as an investment for their old age. We may be able to afford the best home-care services, but nothing beats having your own flesh and blood to take care of you when you are no longer able to do so on your own. This is a major concern for childless couples. Click here to read Kelly Flynn's article in the New York Times. When families cannot cope with these challenges, the government will have to step in. In country after country the retirement age has been raised. In Malaysia, it has gone up from 55 to 60. This is to enable employees to remain in the work force longer to support themselves and to build their nest egg. The government also has to look at how to increase the pool of pension funds as the number of civil servants who retire each year continues to increase. The above video has been posted on this blog a few times. It is a reminder of the challenges imposed by a world that is rapidly ageing, and by transitions is demographics. It is heartening to know that the government is planning to build more nursing homes and aged care facilities. There is currently not enough to meet the huge demand. Private housing developers are building homes that are not just age-friendly but also inter-generational in concept. The idea of living the rest of your life in a retirement community is starting to catch on among older people, The image of retirement homes as a half-way house where old folks await their departure from this life is slowly fading. The Green Leaf Retirement Resort in Sepang, Selangor- an award-winning concept of community living in the golden years. Most importantly, the government has to be more aggressive in promoting active ageing and healthy living. Longevity is a blessing only if accompanied with good health.